RO/DI Water Filters: What You Should Know? As a new fish tank owner the words RO/DI wouldn’t be making much sense to you. Though, you probably understand water filtration. It is an absolute must for the health of your fish. Many people don’t understand the type of filtration needed in their tanks. That’s where RO/DI units for filtration come in. To keep the ecosystem of your fish tank healthy, you should know everything about water filters. They are reverse osmosis and deionized water filtration units. Water filtration through this unit ensures that 90% of the impurities in the water are removed. You can give a healthy breathing environment for you fish through these units. Is it Necessary to Install? Yes, it is. The RO/DI units are a one-time expense that can give your fish tank all the purified water it needs. There are alternative water filtration units but they don’t provide the same results as this one. You can have the RO/DI water from fish store as well. They can sell you a gallon of the purified water at about 25 cents. However, if you count the fuel spent on transit you are paying more than that. The RO/DI units may seem costly at first but over time, their usage will save your expenses. Before you buy a water filtration system, should know everything about it. RO/DI units should have the following features which make it par excellence. It should at least cover 3 to 6 stages of filtration. These stages clean the water by removing dirt from it. They also reduce levels of chemicals such as chlorine in the water. In addition, they also help in improving the taste and odor of the water. The RO/DI units must be certified by FDA and NSF. Proper certifications ensure the safety of the filters. It basically reinforces the quality of the filters. Your water filtration system should belong to a popular brand. It will last longer if it has been manufactured by a renowned company. Brands ensure their machines are worth buying. At the time of buying, learn the process of installing and maintaining the filter system. You should know how to dismantle it. In this way, you will be able to clean it out during regular maintenance. Certain parts of the filter have to be replaced after a few months. Read reviews of the brand you have chosen before buying. In this manner, you can be sure of proper functionality of the water filtration system. The RO/DI units are expensive equipment for aquariums. However, they justify their cost by giving the best ecosystem for your fish. Selecting a good water filtration system for your aquarium is a huge part of its maintenance. 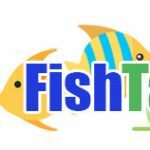 If you want to know more about RO/DI units, visit FishTanksAndMore.Com. Make a well-informed decision before setting up your filter! This entry was posted in Technology, Tips and Information. Bookmark the permalink.